When was the last time you read and understood the insurance policy that covers your house or business? Many people have difficulty understanding the technical language of the insurance policy and the complicated procedures they must follow to comply with the policy's terms. Most people don't realize that insurance company adjusters are trained professionals who represent the interests of the insurance company which employs them. Accredited public insurance adjusters are retained for the adjustment of insured claims due to fire, wind, water, vandalism and other perils. The public insurance adjuster serves commercial businesses, financial institutions, professional firms, homeowners, and the general insuring public. We are experts who not only get the claims settled but also have a construction company to repair the property after the claims are settled. If a loss occurs, you should give immediate consideration to engaging the services of a public insurance adjuster at HARRIS INSURANCE SERVICES. The questions and answers contained in this section will help you understand how our firm can help you through this time. IF YOU HAVE JUST SUFFERED A FIRE, CLICK HERE FOR SUGGESTIONS ON WHAT YOU SHOULD DO IMMEDIATELY! 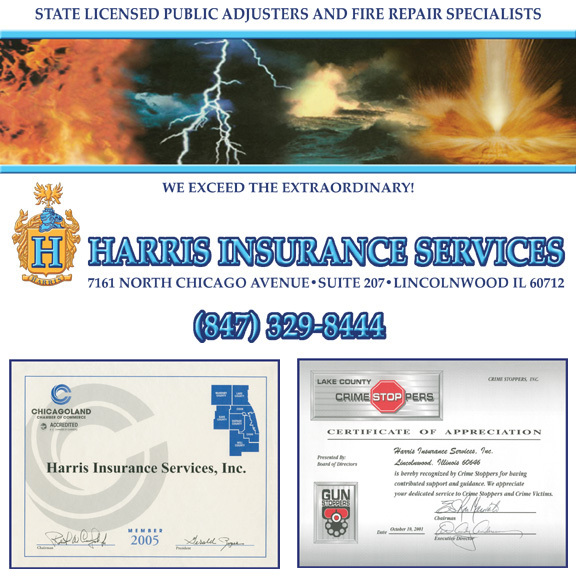 Who are the Public Insurance Adjusters at HARRIS INSURANCE SERVICES and what do they do? 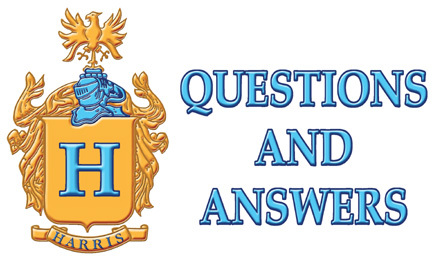 What degrees and expertise do the staff of HARRIS INSURANCE SERVICES possess? Is HARRIS INSURANCE SERVICES associated with any insurance companies? How can a HARRIS INSURANCE SERVICES public insurance adjuster help me? Will my insurance company pay for all the damage from the fire or other disaster insurance related claim? Why should I hire HARRIS INSURANCE SERVICES to obtain what is rightfully due to me? What is HARRIS INSURANCE SERVICES responsibility in settling the claims on my behalf? How is the actual loss and money due to me determined? What special help can the state licensed insurance adjuster at HARRIS INSURANCE SERVICES give me with technical questions? Are the Public Insurance Adjusters at HARRIS INSURANCE SERVICES trained professionals? Will a Public Insurance Adjuster at HARRIS INSURANCE SERVICES help me receive a more prompt and satisfactory settlement? What organizations does HARRIS INSURANCE SERVICES belong to? In the event of a loss what steps should I take? If I have a problem or a complaint concerning an adjuster or an insurance company what should I do? Can I prepare the insurance claims? Doesn't the insurance company have to prepare my claim? What if the insurance company brings in a contractor to prepare the damage estimate and recommends them to do the actual work? Can't I just use their estimate? Does HARRIS INSURANCE SERVICES adjust claims for business owners also? Why am I having a hard time understanding the clauses and language of the insurance policy? Are they all this complicated? Will my recovery make up the cost of your fees? Doesn't the insurance policy guarantee the I will receive a fair settlement in a timely fashion? What happens if I discover additional damage after I have settled my claim? What happens if the town or city I live in requires me to upgrade my property? What should I do if I have a disaster? What are some of the requirements according to the insurance policy? What is meant by the term "TWO PHASE COMPANY" and what are the two phases? How much do we charge for phase one, the adjusting service? How am I charged if I allow HARRIS INSURANCE SERVICES to repair the property, phase two. How soon will repairs begin? How are the payments issued for the repairs? Why does the building settlement check have the mortgage company on it and why do they hold the money? What guarantees do I have that you will do a good job? Who handles all the permits and paperwork with the local municipalities and their inspectors? Who chooses the materials such as carpet, bathroom and kitchen fixtures, paint, etc.? What happens if the job takes too long?